Leadership is an essential aspect of Rotary and we offer clubs for students and programmes to help young people develop their skills. Within RotarySW we have school clubs which cater for a range of age groups beginning with RotaKids for 7-12 year olds and Interact for 12-18 year olds. 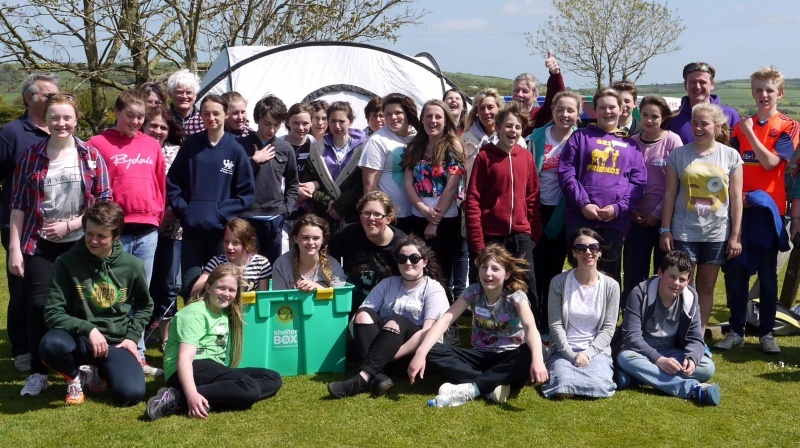 These clubs are based in local schools and work with Rotary clubs on projects which could be anything from fundraising to sponsored events; helping others in their communities and across the world, whilst having fun and learning about the world. Rotaract is for 18 to 30 year olds. These clubs, together with our programmes for young people, make up our Rotary family. RYLA changes lives! Participants develop and strengthen skills in the following areas: leadership fundamentals and ethics; communication skills; problem solving and conflict management; community and global citizenship; and teamwork. One of the best youth exchange programmes in the world where participants can broaden their minds and their horizons with or without vocational experience or academic study. Exchanges can vary from a two week camp or tour, to a short term home stay, to a full year living and studying in another country. New Generations Service Exchange is a volunteering programme which provides opportunities for young people between 18 and 30 to undertake placements across the world or in their home country lasting anything from three weeks to six months. Placements may give vocational experience or humanitarian service or a mix of both relating to Rotary’s six areas of focus. This is the ideal programme for young people wanting to do something worthwhile for others and beneficial for their own careers before or during their studies or into their professional lives, while developing their personal skills and increasing their understanding of the world.